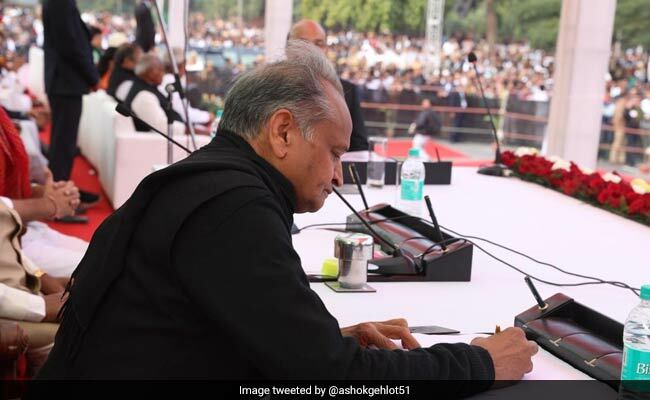 Ashok Gehlot and Kamal Nath took oath as Rajasthan and Madhya Pradesh chief ministers respectively. 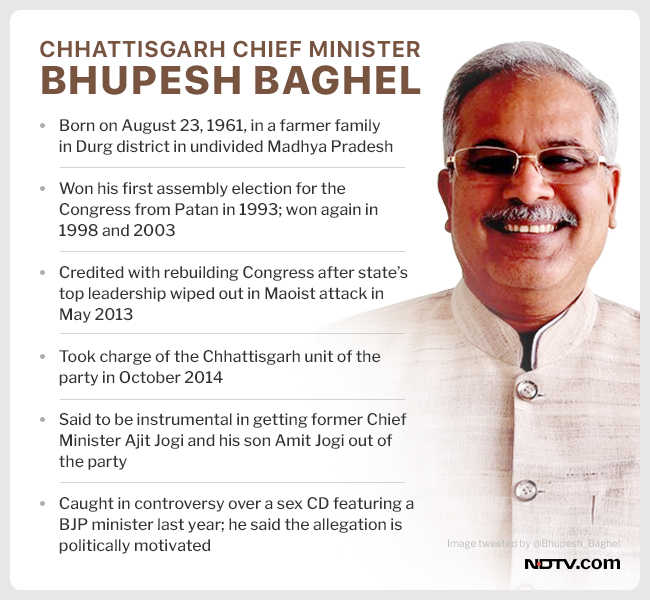 Bhupesh Baghel will take oath later as chief ministers later today. 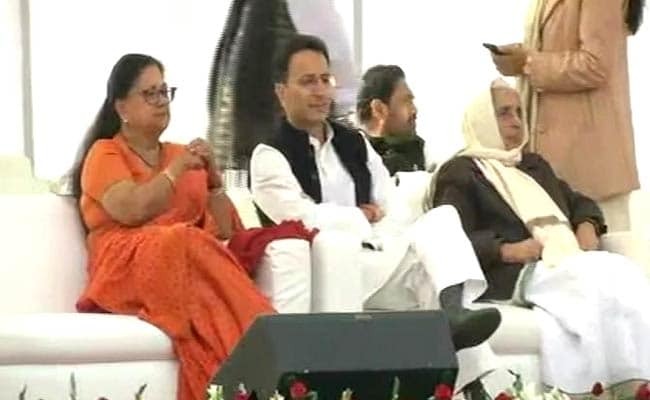 A host of opposition leaders attended the back-to-back swearing-in ceremonies of Ashok Gehlot, Kamal Nath as chief ministers of Rajasthan and Madhya Pradesh respectively, today. While Congress president Rahul Gandhi is attending all the three events, including the one in Chhattisgarh for chief minister designate Bhupesh Baghel, other prominent opposition leaders who attend the events. 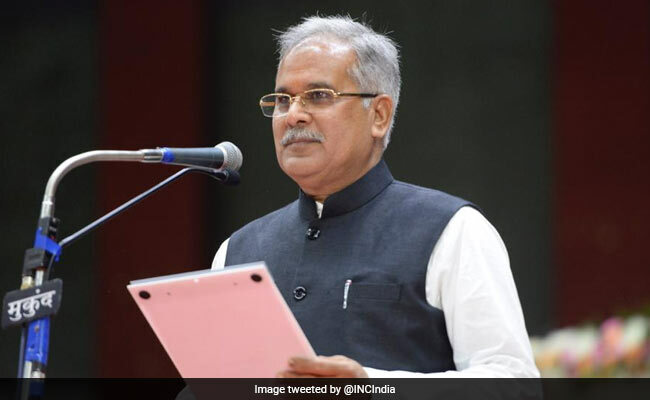 Chhattisgarh chief minister designate Bhupesh Baghel was sworn-in, after the ceremony had been delayed due to rainfall in capital Raipur. Former Chhattisgarh chief minister Raman Singh and senior Congress leader Motilal Vohra attended the swearing-in of Bhupesh Baghel. The leaders include former prime minister HD Devegowda and Karnataka chief minister HD Kumaraswamy and former Jammu and Kashmir chief minister Farooq Abdullah. Andhra Pradesh Chief Minister N Chandrababu Naidu also attended the events along with Bihar opposition leader Tejashwi Yadav. 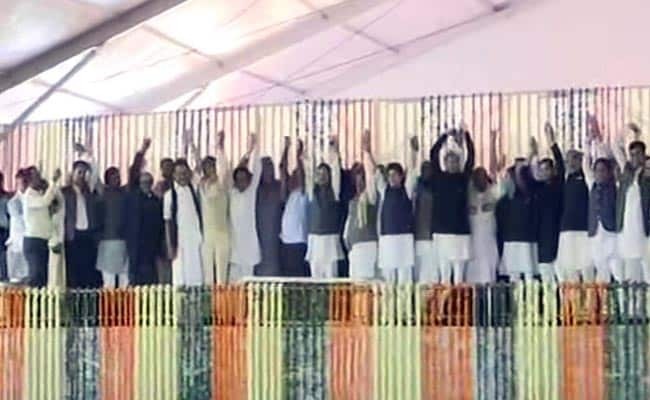 However, three prominent opposition leaders - Mamata Banerjee, Akhilesh Yadav and Mayawati - are among those conspicuous in their absence from the three grand events. Farm loan waiver be implemented within 10 days, as Congress president Rahul Gandhi had announced, says Chhattisgarh Chief Minister Bhupesh Baghel, quoted by news agency ANI. Minimum Support Price or MSP for maize will be increased to Rs 2,500 from Rs 1,700 per quintal, according to ANI. These two decisions were taken today, he said. 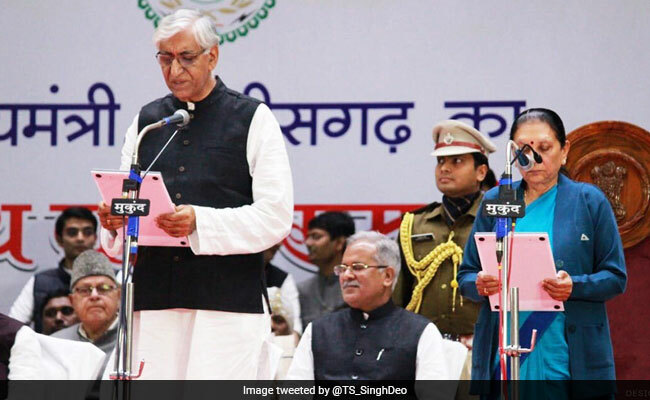 TS Singh Deo and Tamradhwaj Sahu, both contenders for the post of Chhattisgarh chief minister, were also sworn in as ministers. 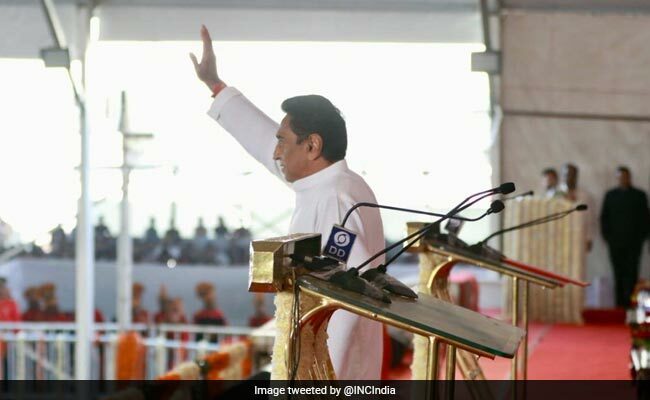 Kamal Nath said Mamata Banerjee and Mayawati had "genuine reasons" for not making it to his oath ceremony for Madhya Pradesh chief minister. 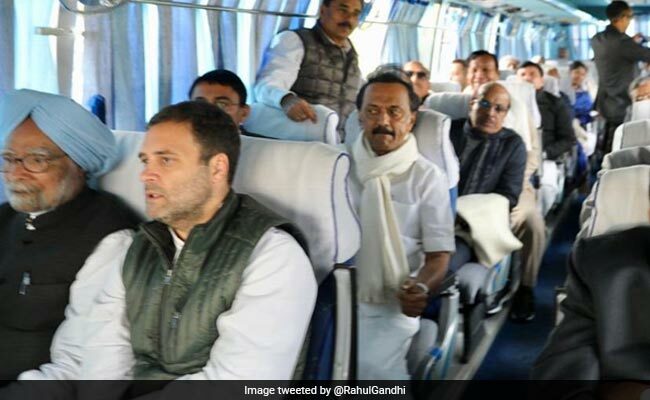 Rahul Gandhi sat in the front seat - with former prime minister Manmohan Singh - as he travelled with a busload of opposition leaders to three oath ceremonies. "I want to ask the banks and economists that when you waive off loans of huge industrialists, it doesn't bother you but when it's about farmers, then you get a stomach ache?" said Kamal Nath. 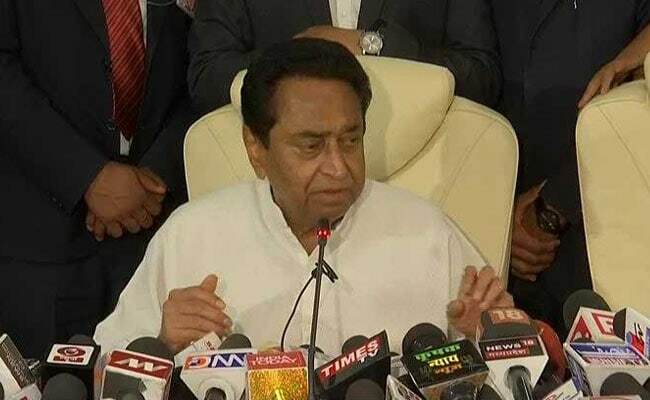 Madhya Pradesh CM: Kamal Nath says "In many places, delivery systems are complete failures"
"In many places, delivery systems are complete failures no matter how good the policy is," says Kamal Nath, who was sworn-in as the Madhya Pradesh chief minister. 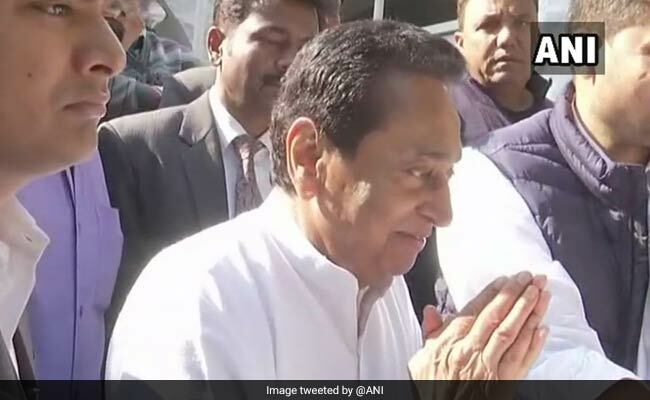 Madhya Pradesh CM: Kamal Nath says corruption starts "in our village level"
Kamal Nath, in a press conference after being sworn-in as chief minister, said that he is "not going to spare a single officer who doesn't do the work they are supposed to." "Corruption today starts in our village level. We have to fix that," he said. "Madhya Pradesh has voted for change. We have to live up to it," he added. Kamal Nath, during a press conference, says that farm loans worth Rs two lakh have been waived, as promised. He said, "I am the Cabinet today, there is no other minister." Mr Nath's cabinet is yet to be sworn in. "We need to enhance economic activity. People should have a chance to establish their own business," he said. 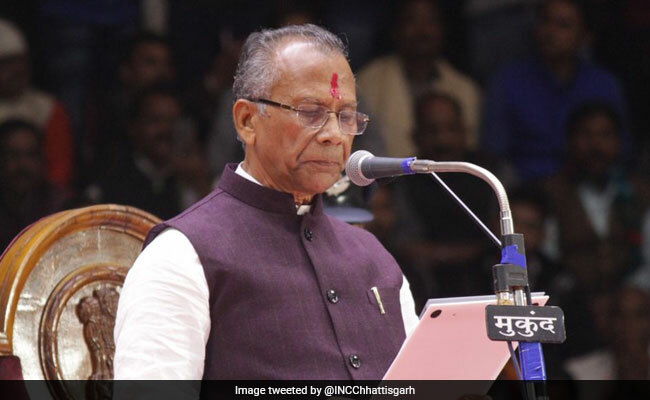 Incessant rain in Chhattisgarh's capital Raipur since Monday morning has led to a change in the venue of the swearing-in ceremony of the new chief minister, an official said, according to news agency Press Trust of India. The oath taking ceremony of Congress leader Bhupesh Baghel as the new chief minister has been shifted from the Science College grounds to Balbeer Juneja Indoor Stadium in Raipur's Budhatalab area in view of rainfall, the official told PTI. Arrangements are being made for the programme at the new venue, he said. According to the weather department, cyclone Pethai has affected the weather of Chhattisgarh and that has resulted in rainfall in the capital. "In view of cyclonic storm 'Pethai' over Bay of Bengal off Andhra coast, light rainfall over Raipur is likely to continue till Monday evening. There is forecast of light rainfall over the state capital during the next 24 hours," said Prakash Khare, Director, Meteorological Centre, Raipur. 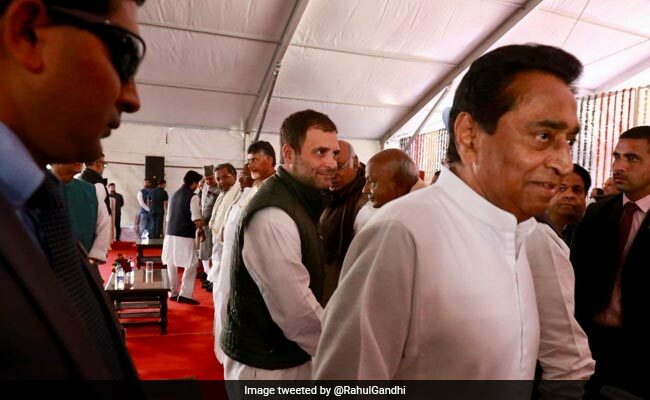 "CM, Madhya Pradesh, waives farm loans," Rahul Gandhi said in a tweet. "1 done. 2 to go," he added in the tweet. Madhya Pradesh Chief Minister has waived off the loans for farmers in his state, two hours after he took oath as the chief minister. The promise of farm loan waiver was made by the Congress during the election campaign in Madhya Pradesh. 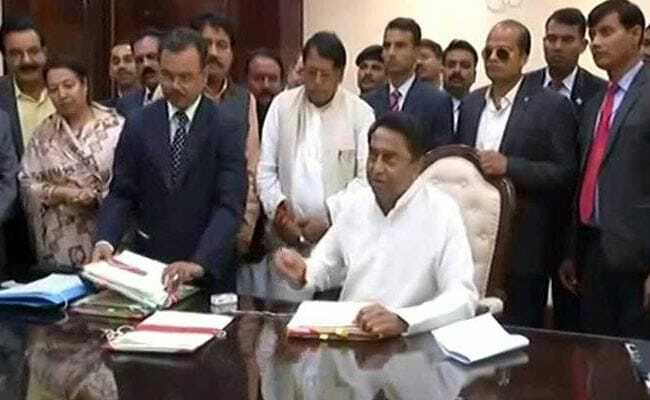 Kamal Nath's first decision as chief minister was to sign farm loan waivers worth Rs 2 lakh from nationalised/co-operative banks till March 31st. He took the decision within the first few hours of taking oath. 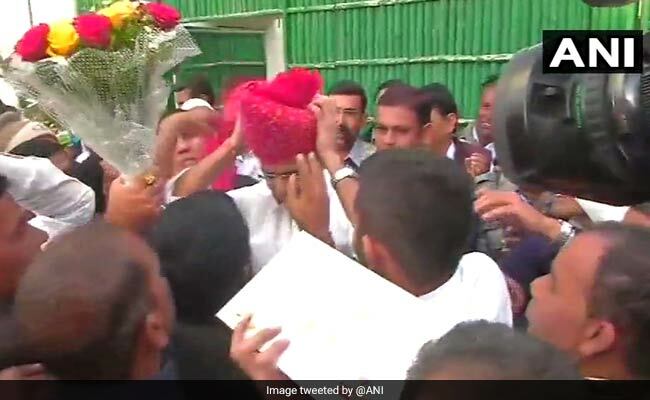 In a declaration that the Congress was back in the saddle, Rajasthan's new deputy chief minister Sachin Pilot, who had pledged not to wear a turban till his party returns to power in the state, proudly sported a red bandhej safa on Monday. 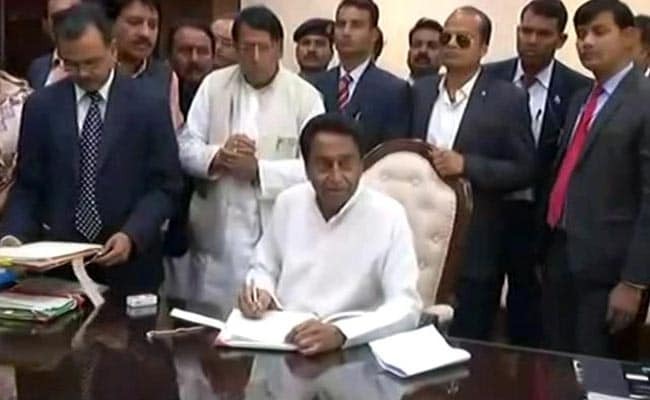 Kamal Nath has, after being sworn-in as Madhya Pradesh chief minister, has signed documents for farm loan waivers in the state, according to news agency ANI. The Congress had earlier promised farm loan waivers for all the three states of Rajasthan, Madhya Pradesh and Chhattisgarh after it won the assembly elections in the states. 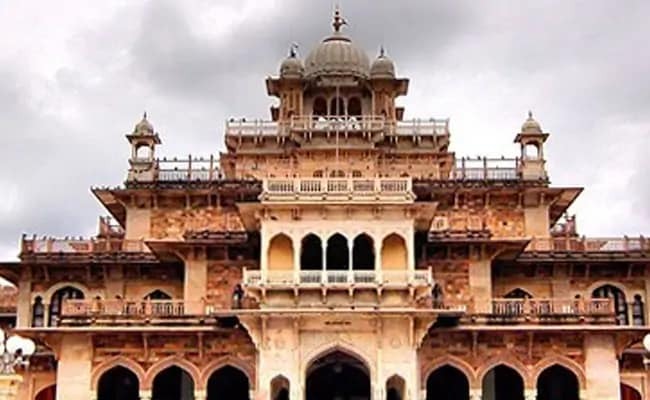 1984 anti-Sikh riots: Kamal Nath's formal takeover as chief minister of Madhya Pradesh took place today in the shadow of protests over his alleged role in the 1984 anti-Sikh riots, for which another Congress leader, Sajjan Kumar, was convicted. 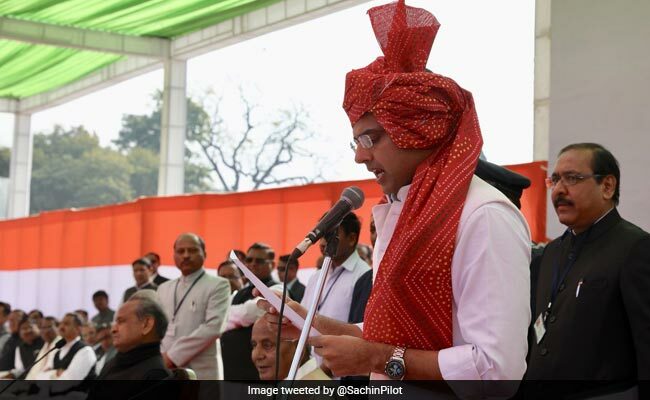 In a declaration that the Congress was back in the saddle, Rajasthan's new deputy chief minister Sachin Pilot, who had pledged not to wear a turban till his party returns to power in the state, proudly sported a red bandhej safa on Monday, according to news agency Press Trust of India. Clad in white kurta-pajama with white Nehru jacket, Mr Pilot donned the traditional turban while taking the oath of office. The 41-year-old leader, who won Tonk assembly constituency in the recently concluded assembly elections, had pledged in 2014 not to wear the traditional turban till the party returns to power in the state. The venue of the oath-taking ceremony of chief minister designate Bhupesh Baghel has been changed from Science College ground due to continuous rainfall. The venue has been changed to Balbir Singh Juneja Indoor Stadium in Raipur. 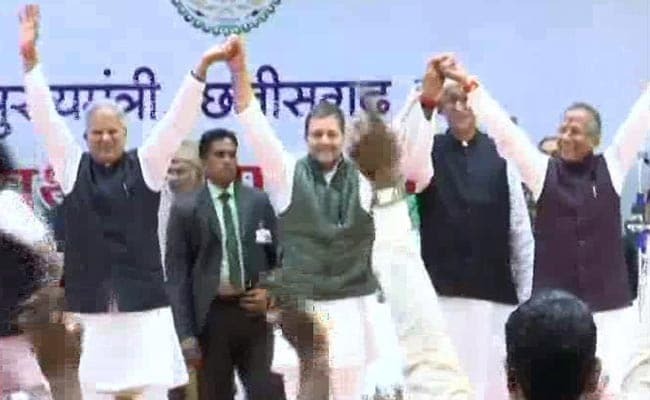 The opposition leaders are on stage, holding hands and waving at the crowd. He is being administered the oath of office. 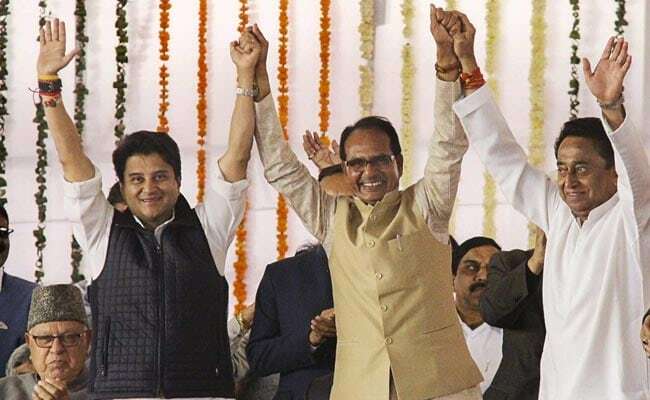 Apart from Rahul Gandhi and Manmohan Singh, National Conference leader Farooq Abdullah, Congress leader Digvijaya Singh and Mallikarjun Kharge, Andhra Pradesh Chief Minister N Chandrababu Naidu, NCP chief Sharad Pawar and other leaders are at the swearing-in ceremony in Bhopal. Former Madhya Pradesh Chief Minister Shivraj Singh Chouhan is also attending Kamal Nath's swearing-in ceremony. 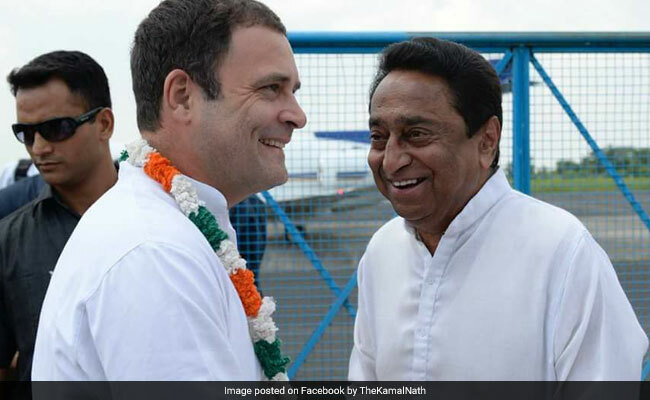 Congress president Rahul Gandhi, Former prime Minister Manmohan Singh and other leaders including Farooq Abdullah and Sharad Yadav have reached Bhopal for oath-taking ceremony of Kamal Nath as Madhya Pradesh Chief Minister. "Congratulate Shri @ashokgehlot51 ji and Shri @SachinPilot on taking oath as Chief Minister and Dy. Chief Minister of #Rajasthan. I wish you the best," the former chief minister tweeted. 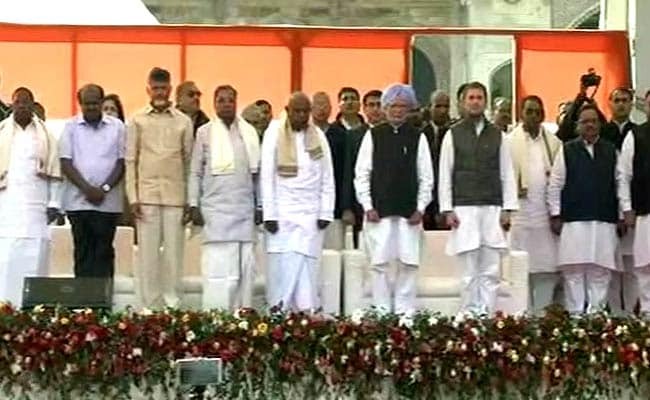 Apart from Rahul Gandhi, key leaders who were seen at the oath-taking ceremony were former prime ministers Manmohan Singh and HD Deve Gowda, Andhra Pradesh Chief Minister N Chandrababu Naidu, Karnataka Chief Minister HD Kumaraswamy. 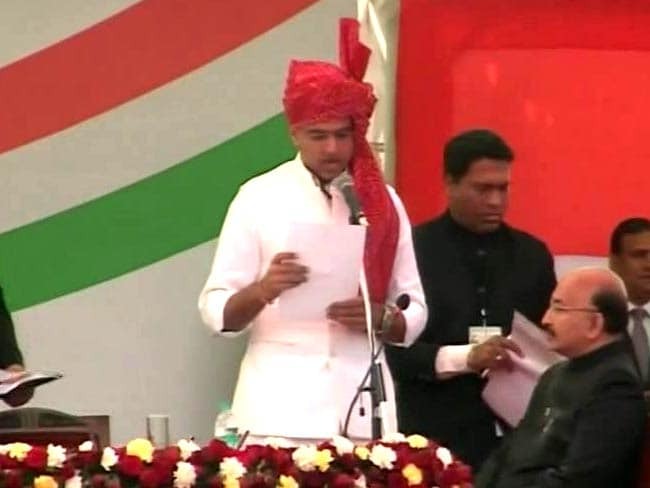 Sachin Pilot takes oath as Rajasthan Deputy Chief Minister. 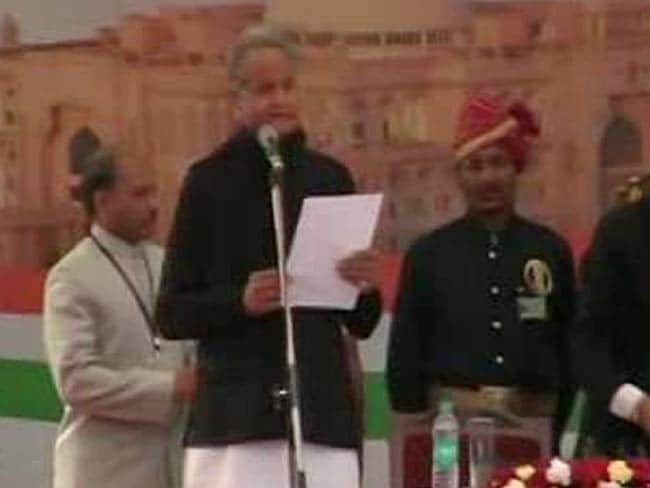 Ashok Gehlot is takes oath as the Chief Minister of Rajathan. Mr Gehlot is the fourth leader in the state to become chief minister of Rajasthan for a third time. Seated next to Vasundhara Raje is Congress leader Jitin Prasad. Supporters greet Chief Minister-designate Kamal Nath outside his home in Bhopal. Former Chief Minister Vasundhara Raje, is attending the swearing-in ceremony at Albert Hall. She has reached the venue. Congress President Rahul Gandhi and former prime minister Manmohan Singh have reached Jaipur for the swearing-in ceremony of Rajasthan Chief Minister-designate Ashok Gehlot and Deputy Chief Minister-designate Sachin Pilot. Albert Hall, the venue of Ashok Gehlot and Sachin Pilot's swearing-in today, in an imposing British-era structure. Albert Hall houses a museum which is popular with tourists. The oath-taking ceremony will be held in the open at Albert Hall. Ashok Gehlot and Sachin Pilot will go the airport to receive Rahul Gandhi and bring him to Albert Hall, the venue for the swearing-in ceremony. 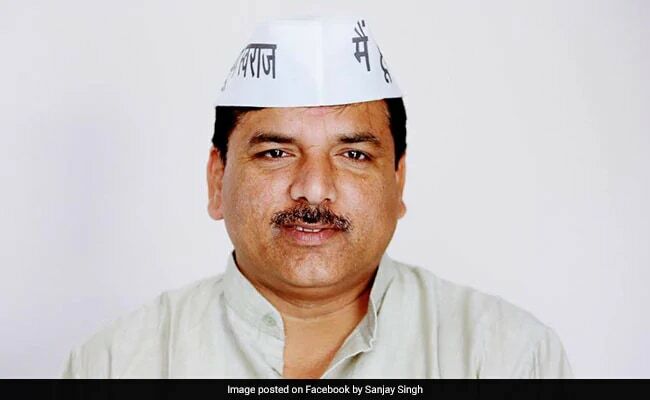 One significant guest at the Rajasthan ceremony will be Sanjay Singh of Arvind Kejriwal's Aam Aadmi Party. His presence will add to theories that the AAP and Congress are trying to overcome years of acrimony in a bid to see the BJP defeated in 2019. 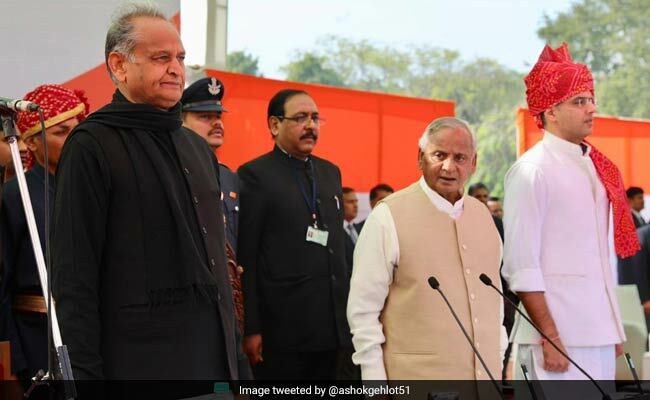 Ashok Gehlot will be sworn in as Rajasthan Chief Minister in Jaipur soon, Kamal Nath will take the oath in Madhya Pradesh's capital Bhopal around 1 pm and Bhupesh Baghel will take charge in Chhattisgarh's Raipur at 4 pm. 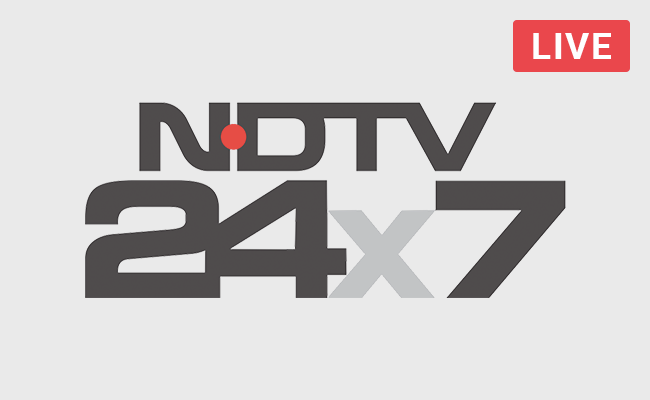 Madhya Pradesh Chief Minister-designate Kamal Nath told NDTV that Mamata Banerjee is not attending his oath-taking ceremony as she is observing her mother's death anniversary today. 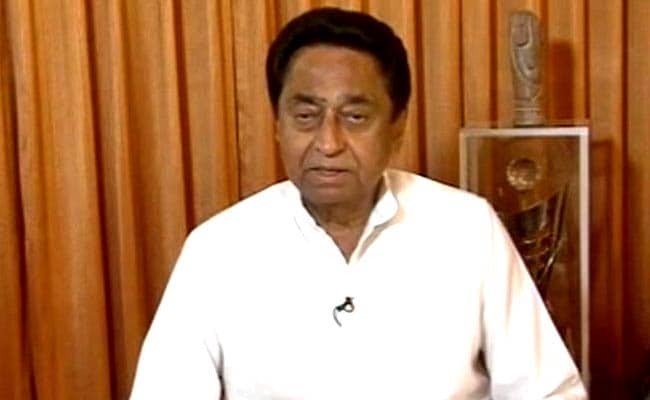 "Thrilled to serve people," Kamal Nath tells NDTV ahead of taking oath. He will take the oath in Madhya Pradesh's capital Bhopal around 1 pm. 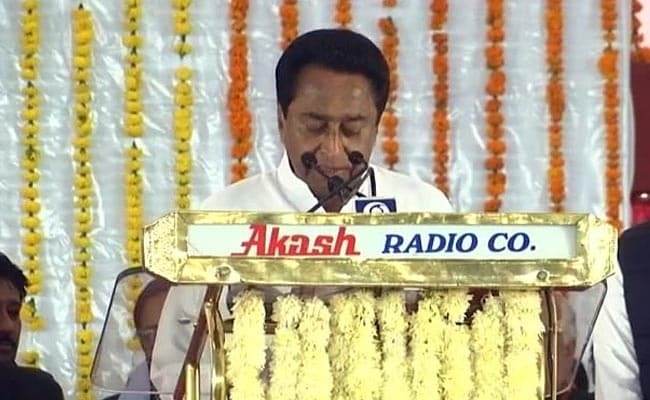 Kamal Nath will take the oath in Madhya Pradesh's capital Bhopal around 1 pm. People gather outside the residence of Rajasthan Deputy Chief Minister-designate Sachin Pilot in Jaipur. "Once the cabinet is decided, the Chief Minister will work on its advice. Once it's done, we'll do what's in public interest. 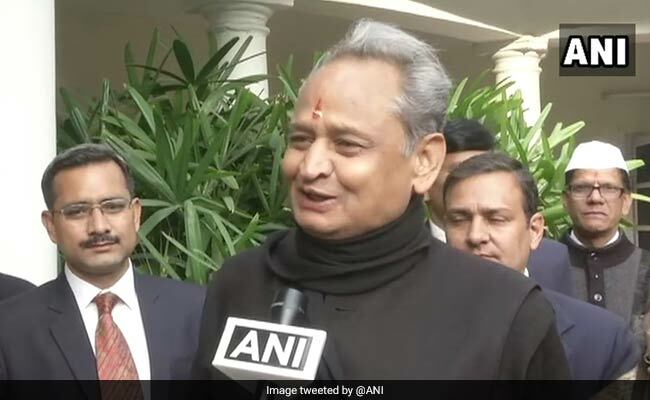 The manifesto will be our priority," Rajasthan Chief Minister-designate Ashok Gehlot told news agency ANI.